The study offered strong scientific evidence that the Manuka honey extracted from bees feeding on the New Zealand Manuka tree actively delays the growth of different cancers, such as breast cancer, skin cancer, and colon cancer. The study also shows that the Manuka honey lessens the poisonous side effects of chemotherapy. The research team was headed by Dr. Basil Al Ramadi, Head of the Microbiology and Immunity Section at the College of Medicine and Science. The study was published under the title (Intravenous application of Manuka honey Inhibits Cancerous growths and improves treatment of lab animals when used with chemotherapy) in the Plus One scientific journal. 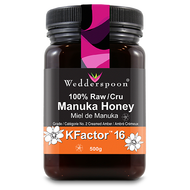 Dr. Ramadi pointed out that the Manuka honey is known for its anti bacterial and wound healing properties since the old ages, however, its effects on cancerous cells have been studies separately and the results were positively good.